Car accidents are not an uncommon occurrence, especially in heavily populated cities. According to the National Highway Traffic Safety Administration, in 2015, 32,539 fatalities and 1,715,000 injuries were recorded by law enforcement authorities across the United States. After a traffic accident, the involved parties will usually do two things: call the police and call their insurance company. It is the responsibility of the police to document the details of the accident and the responsibility of the person involved in the accident (insurance policyholder or policy member) to submit the accident claim to the insurance company. Depending on the policy, the insurance company may cover a variety of the following: vehicle repairs, property damage, medical costs, and compensation for lost wages. However, compensation is never guaranteed. The value of damages is at the discretion of the insurance company. They can choose to value damage at the bare minimum or choose to deny the claim altogether. Motor vehicle insurance is a necessity and in some states, required by law. Nevertheless, insurance companies are limited by their own internal policies on what they can do for their consumers. They will usually only provide the bare minimum because after all, insurance companies are in the business of making money. A car accident attorney will fight for you to get the compensation that you deserve, which is often beyond what insurance companies are initially willing to provide. First and foremost, contact 911 and report your accident. Emergency dispatchers will alert the police to go to the scene of the accident. If needed, the fire department and paramedics will also arrive and address any and all injuries. Exchange personal information with the other driver and take pictures of the damage(s) on all vehicles involved and of damaged property, if any. Contacting a car accident attorney should also be done as soon as possible as they can deal with the insurance company directly, on your behalf. Head-on collision – involves two vehicles traveling from opposite directions with their front ends crashing into one another. Side impact collision (also known as a T-bone accident) – involves the front end of one vehicle crashing into the side of another vehicle. Sideswipe accident – involves two vehicles facing the same direction, coming in contact with one another. The vehicles can either both be in motion or one in motion while the other is parked. Vehicle Rollover – occurs when the impact from a crash causes a vehicle to flip or roll from its upright position. This type of accident is more common with SUVs and minivans, as they have a higher center of gravity. Multi-vehicle accident (also known as a “pileup”) – when more than two vehicles are involved in a traffic accident. Single vehicle collision – this type of accident involves only one vehicle. A single-vehicle accident can occur as a result of road hazards, distracted driving, tire complications, fatigue, or driving under the influence of drugs and/or alcohol. Road hazard accident – this type of accident can occur when road conditions or road factors become dangerous. Examples of road hazards include: poor cleanup during and after inclement weather, construction debris, uncovered manholes, and unfilled potholes. Collision involving pedestrians – when a vehicle comes in contact with a pedestrian. This type of accident often results in the injury of the pedestrian, rather than the driver. Bicycle accident – a collision between a motor vehicle and a bicycle/bicyclist. Driving under the influence of drugs and/or alcohol (DUI). 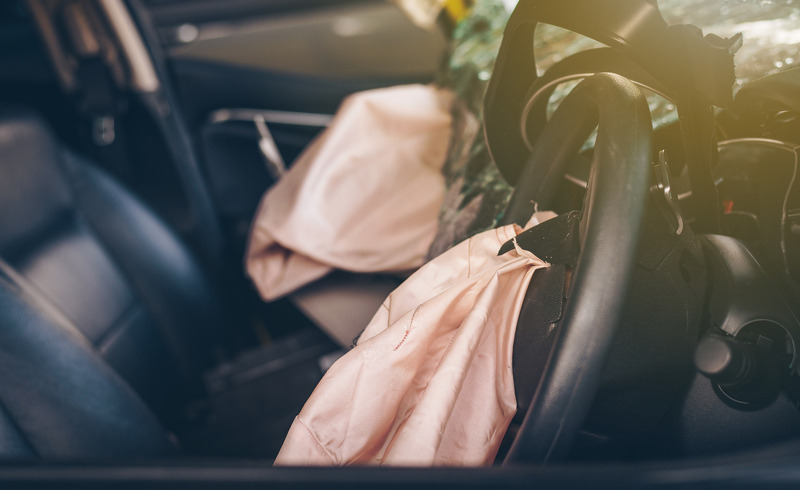 When negligence leads to a fatal accident, a car accident attorney will work in conjunction with our wrongful death attorneys to determine accountability and fight for rightful compensation. While we understand that compensation will not ease the pain of losing a loved one in a tragic accident, we know that it can certainly ease stress related to medical costs, funeral costs, and lost wages. Whether major or minor, injuries from an accident should not be taken lightly. If you and/or a loved one were involved in a car accident and sustained an injury, or if a tragic car accident claimed the life of a loved one, you may be entitled to compensation. Contact a car accident attorney today to discuss your options.